Inside: 100 favorite Christmas decorating ideas to help you bring Christmas cheer into your home! Everyone loves Christmasifying (totally aware that isn’t a word) our homes! There are just so many wonderful ideas out there no matter what your Christmas decorating style is! 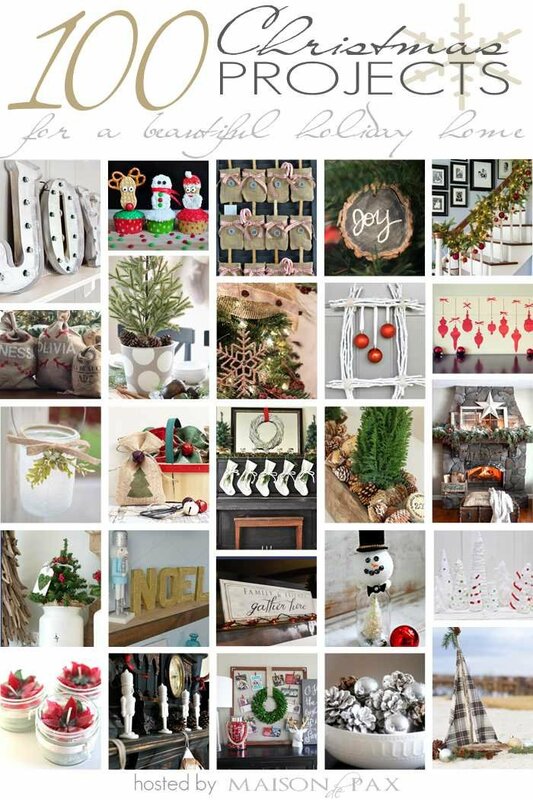 So today I’ve teamed up with 24 other bloggers to bring you 100 Christmas Decorating Ideas! You’re sure to find something here to get your creativity going for the holiday season. Let’s start with 4 of my favorite DIY Christmas projects and then you’ll find links to so many more fantastic Christmas ideas down below! I made this simple Christmas Card Holder last year and loved getting it out this year to display all of the cute faces that arrive in the mail! 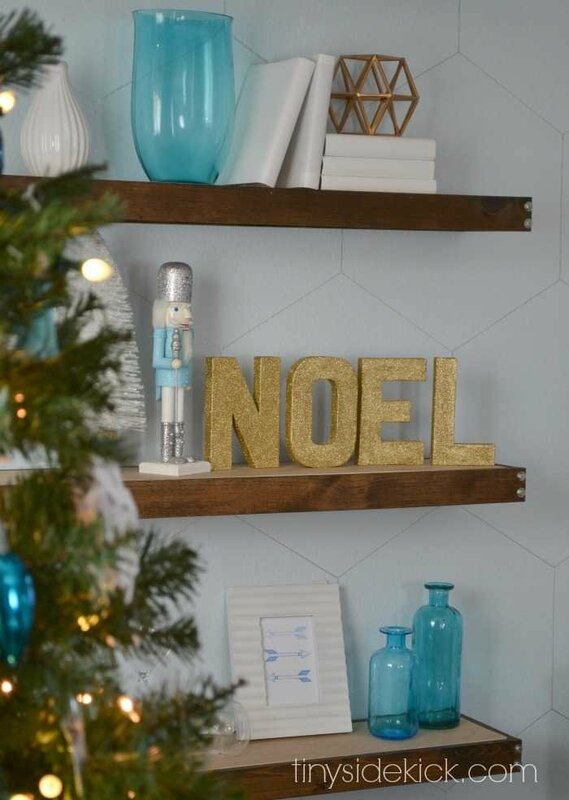 My newest addition to my winter wonderland living room are these DIY Gold Glitter Block Letters that spell out one of my favorite Christmas words, “Noel”. These were so easy to make and I even have a super simple trick to get the glitter to stay put and not flake off all over your house! Another project that was fun to get back out of storage this year was this Winter Wreath that I made from an old sweater and some felt! And last, but not least, it has been a long tradition in my house to have handmade stockings. It started a few generations ago and my mom, and now I keep it going with each new addition to our family. I love the handmade touch it adds to our Christmas decor and share instructions and a template for you to make your own in this Christmas stocking tutorial. There are plenty more ideas to look at, so be sure to click through the links below and visit all of these talented ladies! It’s really really nice.Thanks for sharing.